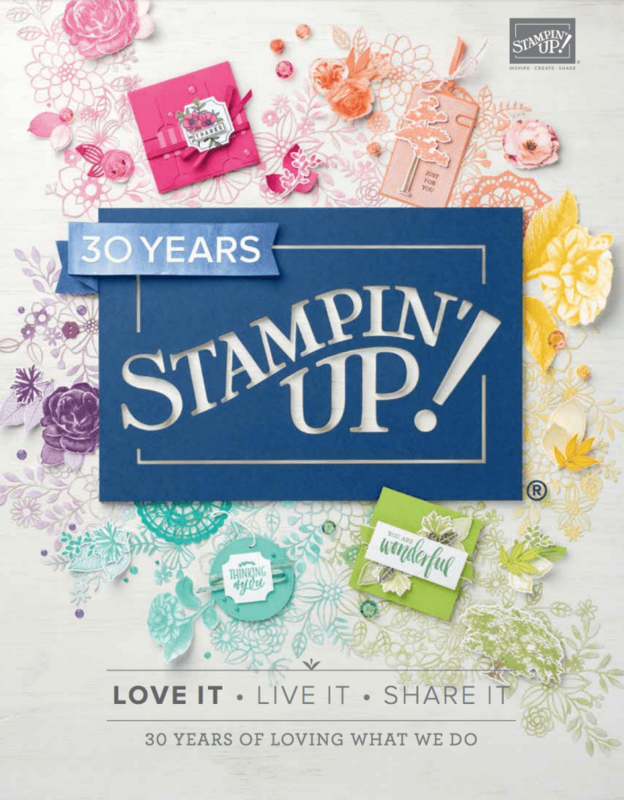 July 22, 2018 October 12, 2018 Sarah Gouin Keerie New arrivals, Promotions & Specials, Stampin' Up! Isn’t that such a lovely sentiment, there are several more in this exclusive time limited bundle. Here is a card that I have made, it’s nice and simple and pretty quick to make too. I have used a piece of A4 grapefruit grove cardstock. This is cut in half to create my card, and then from the other half, I cut a smaller piece to create a layer and used the pumpkin pie ink pad to ink around the edges, just to make them go ‘pop’. I’ve layered a piece of the share what you love dsp, and then inked the edges with black ink. I’ve then stamped the flower, using black ink, onto some shimmery white cardstock and the sentiment is stamped in call me clover. I find I am using the stamparatus a lot just to simply stamp now as I place the stamp where I want it, pick it up using the of the plates, ink it up and stamp! To finish off the card, I used some of the new watercolour pencils. I can’t wait for you to be able to get your hands on this exclusive bundle which is available to purchase between 1 and 31 August 2018. 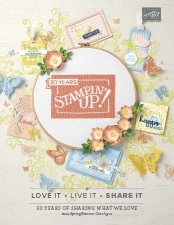 The bundle features a beautiful stamp set along with a set of gorgeous dies. The bundle, and the new watercolour pencils, are available for demonstrators only during July. If you want (or should this read, need) to play with this bundle early, then all you need to do is to join my team. You can add the products to your starter kit (just type in blended seasons into the search box when choosing your products) if you join during July AND receive for FREE an entire ink pad collection (that’s 10 ink pads that have a value of £63).